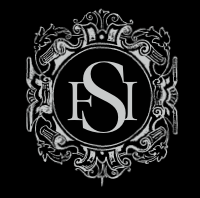 Our mission is to formulate a strategy for the renaissance of live classical music and to translate that strategy into programs made freely available to everyone they may benefit. By the term classical music we mean the Western tradition of art music, which, together with the symphony orchestra, represents an achievement unique and unparalleled among cultures in this or any other age. There should be no doubt about the need for a renaissance. The long retreat of music education from public school curriculums, the frequency of closures and lockouts among the nation’s longstanding musical institutions, the growing tendency to couch arguments for the relevance or irrelevance of classical music in political, utilitarian, antihistorical, and reductionist terms, the surge in popularity of “solutions” that offer to repudiate or even dismantle the tradition, the administration of the art form as a socialist program or government agency and the subsequent slouching toward bureaucratic bloat and uninspired mediocrity, and the paucity of viewpoints upon any of these subjects all point to a growing gap between those who speak today for classical music and the eternal and transcendent art form itself. But nor should there be any despair about the promise of a future for classical music. All around us we see the signs that a rebirth is nigh. The glorious musical heritage bequeathed to us sprang from a deep well of love and piety, reverence, and affection within the human heart. And despite the errors of any age – perhaps even because of them – people are still moved principally and most lastingly by love. We still long to be inspired by wonder, to feel the selfless fulfillment of devotion, and the security of belonging. Music has the power to move us in this way more than almost anything else we can name. And its power is all the greater for the fact that our experience of classical music, especially today, is wholly unlike our other experiences. It stands outside of time, and looks lovingly from its vantage point across the wide panoply of history. It invites us to stand there with it, in intimate acquaintance with everyone we’ll never meet – those who are long gone but who, nevertheless, already know us because they know and sympathize with the condition of our humanity. Our musical communion across the centuries is the fruit of forgiveness that first took root in our hearts as sympathy and a mutual and abiding love for what is true, good and beautiful. Before trying to “modernize” music, then, we should remember that the great Renaissance was itself born of a loving look backwards. And already we see people in all walks of life making the first Petrarchan glances over the shoulder of modernity. For the new renaissance to take hold, Western art music must do more than survive in the cloisters and towers of our conservatories and grandest orchestras. We envision a world of active and flourishing amateur, community, youth, and professional orchestras where the joyful practice of playing acoustic instruments and the inspired legacy of classical music find themselves again at the aesthetic center of community and family life. We envision a world in which classical music and its principles are unquestionably as important a part of any school curriculum as reading, writing, and arithmetic. And in this world we envision, as already in our own, the music forever renews itself by renewing our spirits, our imaginations, and our moral sensibilities. It shapes us even as we shape a phrase or a line in song. A renaissance for classical music means a renaissance for humanity.